What is a Myrtle Beach golf par 3 about – precision, feel and ball striking. No drivers needed for these holes. As many times as you pull out your driver and “grip it and rip it” during a round of golf, on one of these Myrtle Beach golf par 3’s – that’s not the case. That doesn’t mean that a Myrtle Beach golf par 3 hole isn’t memorable and difficult, as a matter of fact, these 4 holes below might just end up being your favorite holes in Myrtle Beach! There are a limited number of Myrtle Beach golf par 3 holes that are on the Intracoastal Waterway – we are talking under 5. It’s hard to imagine any other Myrtle Beach golf par 3 holes having the view and pop that this particular one does. This par 3 runs approximately 220 yards, and you have to deal with a sloping green, right front bunker and a “grande” amount of marsh grasses around the green. Careful placement of your shot is necessary and even those that land your ball near the pin can find their ball rolling off the green and into the waterway! 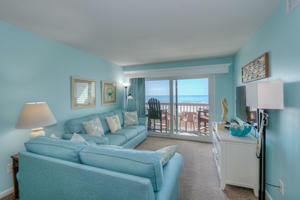 Everybody loves the appearance of an island green – the green meeting up with the blue just captures your eye. But, what about the island green that is surrounded by sand instead of water? The taupe and green together are equally as eye-catching. On the back nine of True Blue Plantation golf course is a Myrtle Beach golf par 3 that is surrounded by a waste bunker – creating the island green effect, just not as scary because the water is sand. This shorter Myrtle Beach golf par 3 (from 120 to 180 yards) has one area behind the green that doesn’t have sand, but instead a grassland that is usually unplayable – so avoid this area at all costs! Most people will think the most impressive Myrtle Beach golf par 3 at Pawleys Plantation is hole number 13. While we like this hole, we think that hole number 17 is just as impressive. 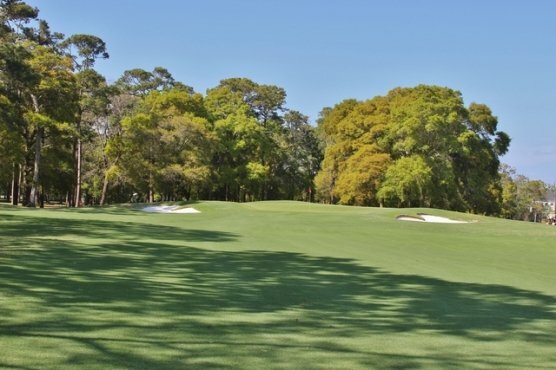 Just around 200 yards, this Myrtle Beach golf par 3 is not as windy as number 13 due to the trees that line the back of the green – so be careful not to hit your ball long. If you need a place to miss hit your ball – make it right of the green. This is the only true bail out spot on this hole. The front you will meet the marsh and a bunker on the left. One of the best Myrtle Beach golf par 3 holes will find you early in your round at Tidewater. This hole is the perfect blend of natural and artificial design. You’ve got the Cherry Grove marsh up the left side of the hole and with it comes the views of the oceanfront accommodations that you might be staying at. Around the 3rd hole are three massive bunkers right at the front of the green – once you get on the green, your fun isn’t over as this putting surface has three tiers that will test even the best golfer’s skill.